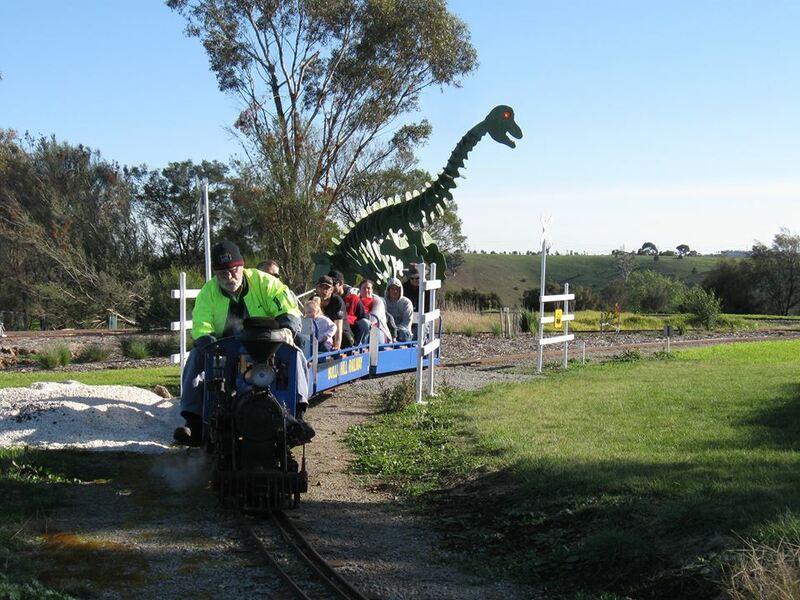 Bulla Hill Railway is open to the general public from 12 noon – 4.00 pm on the THIRD Sunday of each month. Bulla Hill Railway is set in the Recreation Reserve at Green Street, Bulla. 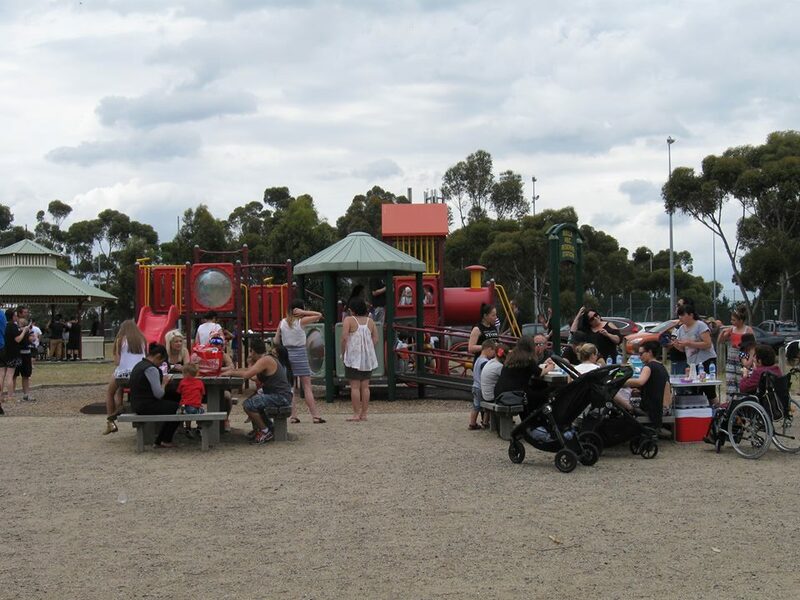 The Recreation reserve is located about 8 km past Tullamarine Airport, and 11 km from Sunbury. Melways Map reference 177 B7. You can ride behind our steam or diesel locomotives around our scenic 1.5km track. The ride takes approximately 10 minutes and during the ride, you will pass over bridges, through cuttings with scenic views of Mt Macedon in the background. During the trip, you might even see a dinosaur or two! Note: steam trains operate subject to fire restrictions. 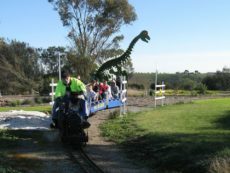 Bulla Hill Railway is the perfect venue for parties particularly children’s birthday parties. We have an enclosed private picnic area complete with two coin operated barbecues and 5 picnic shelters. Toilet facilities and a kiosk are at the station. There is a great children’s playground located right outside our gates in the public parkland area. There is a large free car park.